What are the characteristics of China?s urban entrepreneurs? This paper seeks to address that question using survey data from five cities in China: Shanghai, Wuhan, Shenyang, Fuzhou, and Xian for the period 1996-2001. I first estimate the likelihood of being an entrepreneur at year-end 2001 using multinomial logit with a full model of demographic and psychological variables. I then employ a parametric survival model to analyze who becomes an entrepreneur over time from 1996 to 2001. I find support for some of the ?traditional? relationships between entrepreneurship and age, gender, marital status, self-employed parents, and health. More importantly, I find that education and rising unemployment have persistently negative effects on the probability of self-employment in urban China. These surprising results indicate that context does indeed matter. The literature discussing entrepreneurial characteristics has focused almost exclusively on Western nations, particularly the United States and United Kingdom. 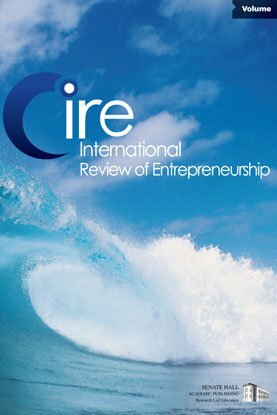 The contribution of this paper is to examine the characteristics of entrepreneurs in a previously neglected yet prominent country, China.